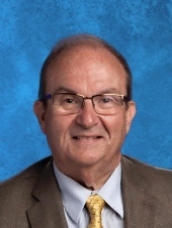 William (Bill) D. Wagner is currently in his third year as Superintendent of Schools for the La Grange Independent School District and in his 35th year of serving the La Grange District, with 42 years of educational experience. Mr. Wagner began his tenure in La Grange ISD in 1984 when he became the first La Grange High School Assistant Principal for the District. In 1988, Mr. Wagner became the La Grange High School Principal, a position he held for 24 years until 2012. He moved from the high school campus to assume the role of Assistant Superintendent, a position he held for 4 years prior to being named Superintendent in 2016. Mr. Wagner is a lifelong resident of Fayette County, graduating from Schulenburg High School in 1973 and then attending and receiving both his Bachelor’s and Master’s Degrees from Southwest Texas/Texas State University in 1977 and 1985 respectively. Wagner has been married to Theresa (Terri) Wagner for 42 years. Terri is a retired middle school teacher and coach, having taught for 39 years. They have four daughters of which three are employed in education. Two daughters work in the La Grange ISD, Ramona, a 4th grade teacher and Regina, La Grange Middle School Assistant Principal. The Wagner’s have 8 grandchildren and one great grandchild. When Wagner assumed the position of Superintendent of Schools for La Grange ISD, the motto he instituted was “Protect the Brand.” Wagner feels the traditions of La Grange ISD need to be protected. Wagner stated that the La Grange ISD is a district of elevated expectations and the goal is to that every student can have the opportunity to graduate. Wagner feels the greatest asset of our district is our students and by “Protecting the Brand,” all employees of the District give their best each day.